Click on the Thumbnail to see a larger picture of the front and back covers. 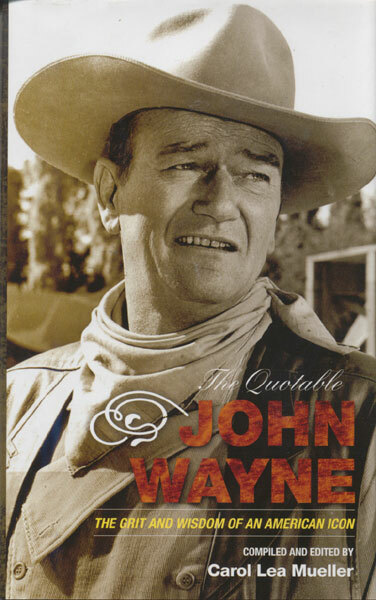 This book presents a biography of John Wayne through the experiences of his friends and colleagues. Herb Fagen spent countelss hours talking with Duke's acquaintences, so the real story of John Wayne would be recorded and retold for generations to come. A figure like John Wayne comes along once in a generation, and this book is loaded with all kinds of interesting stories that will help you appreciate just how special he really was. The foreword is written by Ronald Reagan and is inspiring.